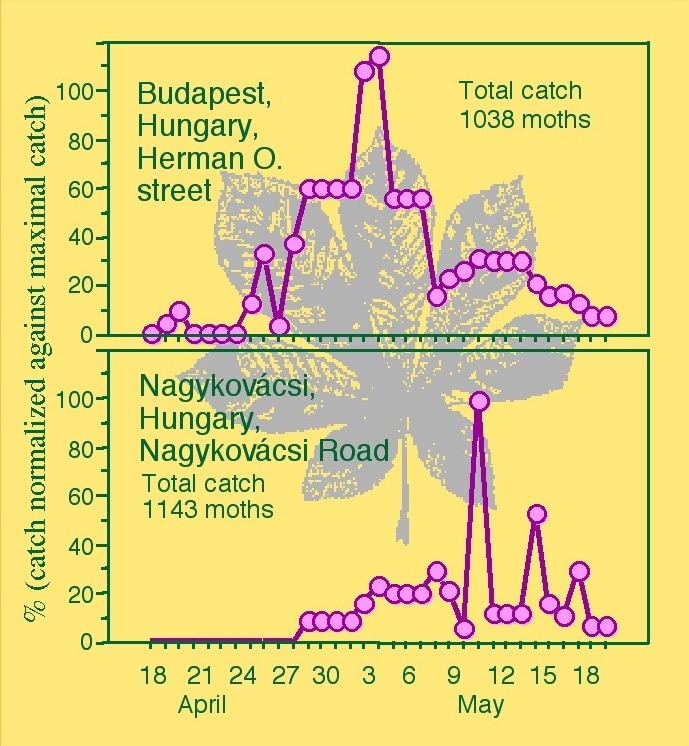 The first occurrence (beginning of flight) and flight dynamics of a given pest can significantly differ between two sites (even if they are not too far apart), and, naturally, between consecutive years (predominantly due to differing weather conditions). See below some examples from our earlier studies. 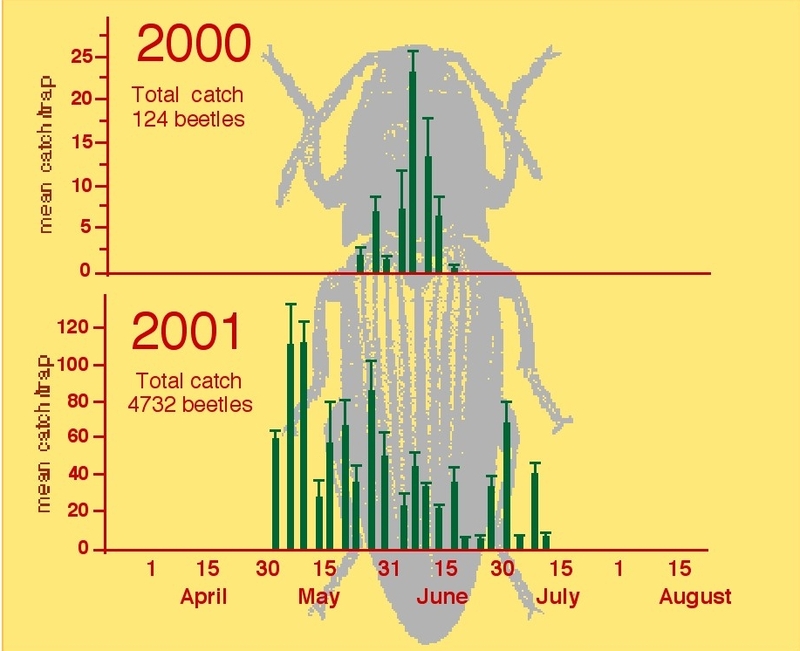 One of the major advantages of pheromone traps is that they detect and monitor the actual occurrence of the given pest at the given site and in the given year, so there is no need for guesswork in making the necessary plant protection decisions. at two sites at a distance of ca 10 km from each other. with A. rufipalpis pheromone bait were operated on the site).